Firmenich has announced cucumber as the 2017 “Flavour of the Year” based on its growing appeal – demand for refreshing, clean, and healthy food and beverages is driving cucumber’s surge in popularity. “Our trend insights show that consumers are really enjoying lighter, refreshing ‘green’ flavours, such as cucumber. We anticipate and respond to these needs by continuing to deliver healthy and novel taste solutions to match,” says Chris Millington, president of Firmenich’s Flavour Division. Painting a broad picture, Millington adds: “Vegetables in general are becoming more accepted as flavours and ingredients, sometimes even replacing fruit in traditionally sweet categories such as ice cream and cereal. 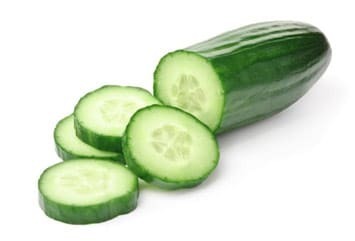 Innova Market Insights has reported almost twice as many launches containing cucumber when comparing 2012 and 2015 launch numbers, with a CAGR of +73% per year. More launches of cucumber containing products were reported in the first 10 months of 2016 than in the whole of 2015, as strong growth in NPD continues. Interestingly, applications of cucumber are highly diverse in nature. Breaking down the top five categories for cucumber, applications were led by sauces & seasonings (29%), ready meals (20%), soft drinks (15%), supplements (7%) and snacks (5%). This new landscape is opening up creative and delicious uses for cucumber, as William Moldt, senior flavourist at Firmenich comments: “I love working with cucumber and find its adaptability inspiring. As the demand for natural flavours such as cucumber increases, it’s important that such flavour production is sustainable. “At Firmenich, we develop and manufacture our own natural green notes from sustainable sources, this helps support the growing demand for natural fruit and vegetable flavours,” says Stephanie Salord, director of Ingredient Innovation at Firmenich. 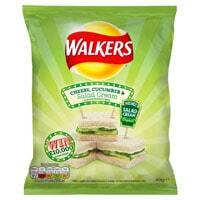 “Some of these green notes are materials that we keep for our flavourists only. For example, Pulpanat, as its name suggests, enhances the pulpy character of fruits and vegetables to drive even more fresh sensations,” she concludes. In a detailed interview published in the December 2016 issue of The World of Food Ingredients Millington notes how Firmenich, the world’s largest privately-owned company in the fragrance and flavour business, is increasingly looking to position itself as a partner to the food & beverage industry. Several services that have been used in-house for years, now being offered to customers for their product development processes. The Swiss headquartered company had an annual turnover of CHF3.2bn ($3.2bn) at end June 2016 and each year continues to invest 10% of its turnover back into R&D. As customers look to differentiate themselves and also try to attract a very dynamic consumer base, they are increasingly benefiting from partners such as Firmenich, to offer value added services. This is why the company has launched a new tagline for the flavour division called “Preferred Beyond Taste”. “It is about going beyond flavour, because what our customers are demanding from us is really about value-added services. Our value proposition expands exponentially every year, as clients ask us to provide them with more,” says Millington…..